Summer’s end is in sight. And after just capping off Labor Day Weekend, we were once again reminded how fast time can fly. Although prices haven’t changed much from where we were three months ago… there’s been a massive amount of progress brewing inside the crypto community. Fortunately for you, we’ve managed to stay on top of all the market conundrums. 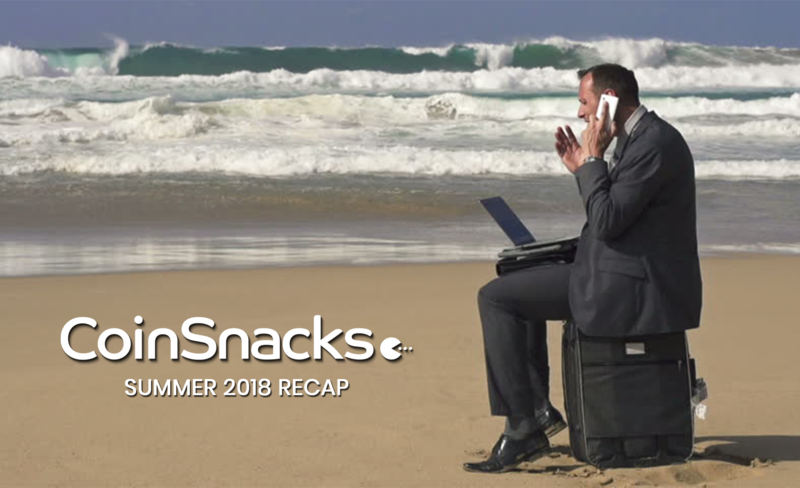 So before you turn back to your routines at school, work or home, we thought we’d do a quick recap of everything that went down during crypto’s heat-riddled summer of rage. An account believed to be connected to the now defunct Silk Road is mysteriously moving around a whopping $800M worth of bitcoin and Bitcoin Cash. First found by Reddit user Sick_Silk, the wallets containing these coins have been untouched for more than four years. The fear with such movement is the possibility of a significant impact on the bitcoin market. The movement of 16,000 BTC from wallets associated with the Mt. Gox earlier this year resulted in intense speculation and a thousand-dollar price drop over one week. Perhaps this is another whale we should follow. Despite all the hype, bull runs and the slew of new and successful projects, cryptos are still out to prove their legitimacy to the “real world”. In this beautifully written and highly educational primer, Tom Shaughnessy lays out the importance of this long-awaited market catalyst. Den Held’s latest article reflects on the important role Hodlers play in developing Bitcoin’s network (and other cryptocurrency networks). What is Web 3? Why is it important? And how does it work? If you’ve seen the idea of “Web 3” being thrown around recently and have wondered what all the fuss is about, Coinbase in their latest blog post breaks down the motivation and technology behind it’s development, as well as the implications it has for the future. Everyone knows that today’s web has shortcomings and needs vast improvements. Web 3 aims to be the fix the internet needs. What actually is decentralization? Something so subjective leads to conflicting opinions on it’s definition. Breaking down the history of the term “decentralization,” Tony Sheng realizes the term has been used and abused. He believes we should use it as a platonic ideal and not a measurable property. 🔍 New course reveals the truth about Bitcoin no one else will tell you. Former hedge fund manager releases new cryptocurrency master course for the masses. Why are so many investors turning to cryptocurrencies? How do cryptocurrencies compare with stocks and other investments? What are the biggest cryptocurrency investment opportunities and challenges over the next 12 months? What strategies do I use to identify 1,000%-plus winners… sometimes days, weeks and months of anyone else? By the end, whether you’re completely new to cryptocurrency investing or more advanced, you will have a complete breakdown on bitcoin, cryptocurrencies and the blockchain… You will know what they are, how they work, and whether this investment makes sense for you. You’ll have trading strategies. Methods for identifying “the next bitcoin.” Everything. And there is no better time for you to complete this course than now. 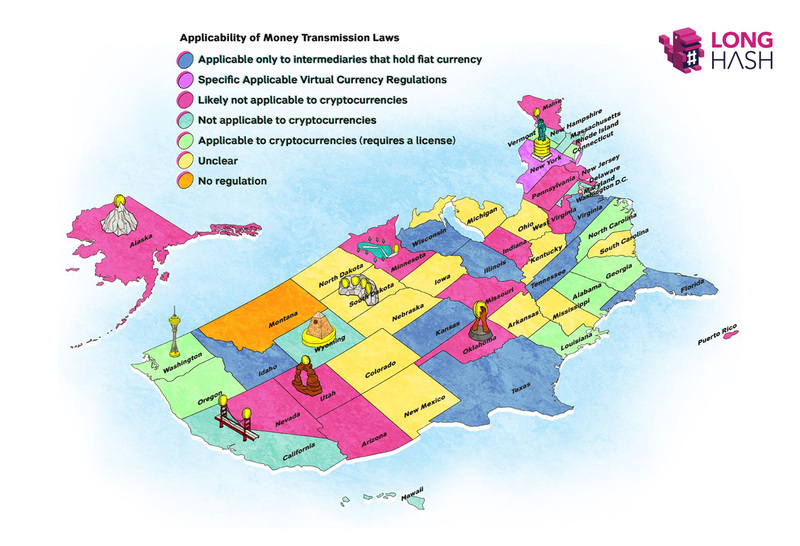 The map from LongHash below contains a summary of how each state applies its Money Transmission Laws (MTLs) to the sale, transmission or transfer of digital assets, including cryptocurrencies. The problem is: These unclear laws often stifle innovation and deter investing in crypto. Instead, people choose to sit on the sidelines due to valid fears of falling on the wrong side of regulators. Iran has just revealed plans to launch its own national cryptocurrency due to the crippling economic sanctions recently imposed by the US. So far, it looks like Iran is following Venezuela’s foot steps, whose petro has made national headlines and was promised to revolutionize finance in the country. The only problem is, the petro is still nowhere to be found. Over a period of four months, Reuters tried to track down the petro being utilized as it had been promised. The hunt turned up little evidence of a thriving petro economy. The coin is not sold on any major cryptocurrency exchange… No shops are known to accept it… And the people of Venezuela feel they have been lied to. The Reserve Bank of India (RBI) fears it may be pushing cryptocurrencies into the shadows. In its annual report released on Aug. 29, they acknowledged the need to keep track of trade in virtual currencies as much as possible. Crypto exchanges now say that the RBI could have avoided precisely this situation by taking more prudent steps to understanding the ecosystem rather than coming down heavily on it. Markets are shaky… bitcoin (BTC) had a 6% pull back this morning. 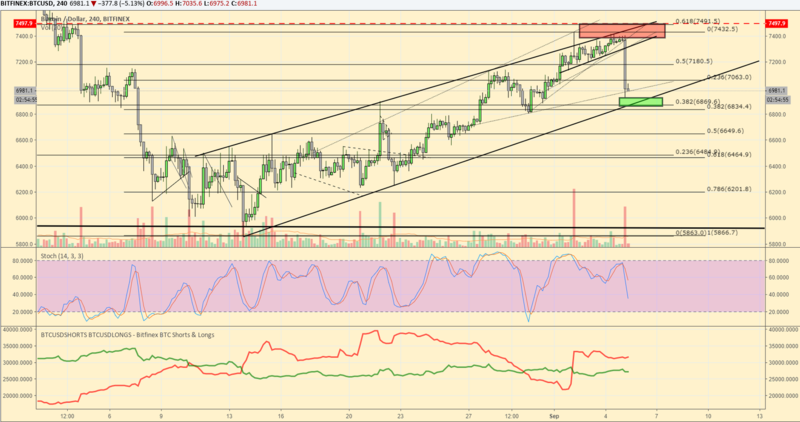 Drawing a retracement from the swing high to the swing low, there is a .382 support around $6800-$6900– a previous support level. We suggest buy orders in this zone (along the bottom of the rising channel) with a stop around $6780. If there is a breakout, then bitcoin will most likely retrace to the .618 around $6400-$6500. Looking back with Chris Burniske: Will 2018 be the new 2014?